Chauvet Professional makes it possible to cover a wider area with an even coloured wash on indoor and outdoor stages. 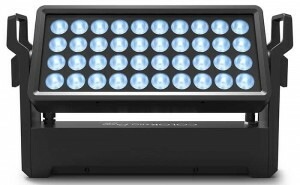 Introduced just in time for festival season, the company’s new IP65 rated COLORado Panel Q40 features a magnetic flood filter that produces a very wide, but still even wash.
Powered by 40 15W RGBW LEDs, the rectangular wash fixture has a bright output (up to 9,480 lux at 5 metres) and creates perfectly smooth edge-to edge colour mixing. An adjustable beam angle of 15° or 24° adds to its versatility. Ruggedly constructed, the COLORado Panel Q40 measures 20.27 x 7.71 x 11.96 inches (515 x 196 x 304mm) and weighs 28.2 lbs. (12.8kg), making it efficient to setup and transport. Its outdoor rated power and data connectors can be connecting quickly and easily without the need for propriety cabling. The user-friendly wash fixture can be controlled via DMX, WDMX and RDM. 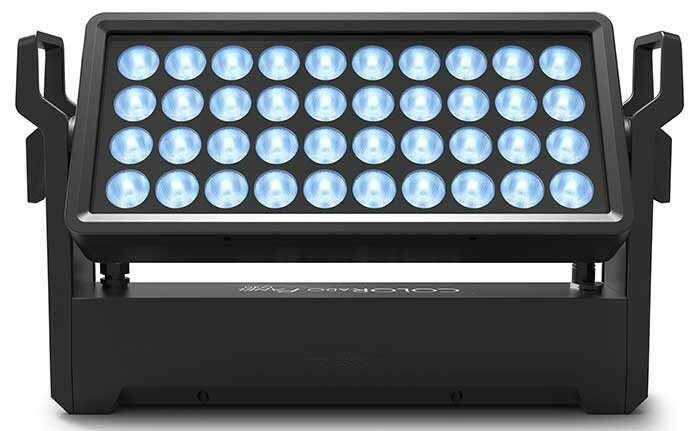 It has a colour temperature range of 2800 to 10000K and selectable pulse width modulation that avoids flickering when lighting concerts and festivals that will be videoed.